For a budget-conscious kitchen countertop, consider painting over your current surface for a fresh, cost-efficient option. 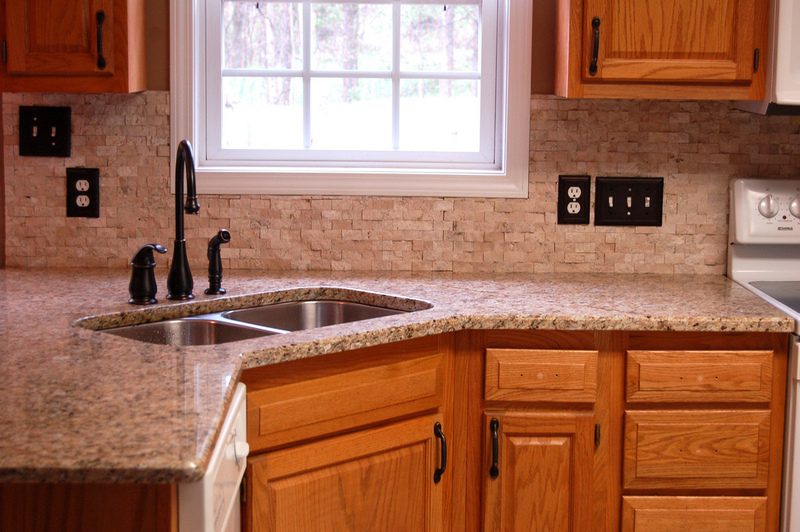 Sure, a complete revamp of a kitchen countertop is a new and fresh way of updating your surface. But when cost and other factors are an issue, painting kitchen countertops might also be a viable option, providing a middle ground between replacing the countertop and dealing with it for the time being. If you are painting over a laminate countertop, then you will need to sand down the surface. Wipe away remaining dust, then dry the countertop before painting the countertop with a primer and paint roller. Apply one to two coats of paint and then seal the surface with polyurethane after the paint has dried. Allow the polyurethane to dry, then sand it with a moist sanding sponge until the countertop is smooth. Dry the countertop, then reapply and sand the polyurethane two more times. Flat latex paint is available in a variety of colors, ranging from forest green to slate gray. This versatility means painted kitchen countertops will work in a number of different kitchen styles, including modern, rustic and eco-friendly designs. Different color combinations are also possible; consider painting a white countertop to go with a red kitchen. Stone-textured paints are also available, allowing for a unique option when painting kitchen countertops. 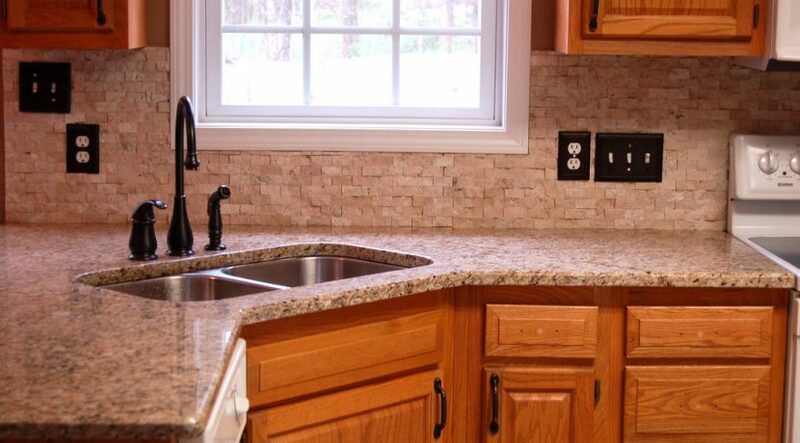 With new products, like Rust-Oleum Countertop Transformations, you can transform worn or damaged laminate countertops at a fraction of the cost of replacement. It’s available in five different colors and has been tested to withstand the wear and tear of daily use.